Embassy of Imagination (EOI) is a multidisciplinary arts initiative for youth based in Cape Dorset, Nunavut. Their workshops introduce youth to a global perspective of art practices and a variety of art mediums, specializing in printmaking and mural painting. EOI leads youth to achieve self-empowerment through creating, fun, and professionally-realized satellite projects across Canada. EOI is lead by visual artists Alexa Hatanaka and Patrick Thompson. Hatanaka and Thompson have a rich background in socially-engaged art projects and youth mentorship. Hatanaka and Thompson have worked on several visual art projects in the arctic for nearly ten years. 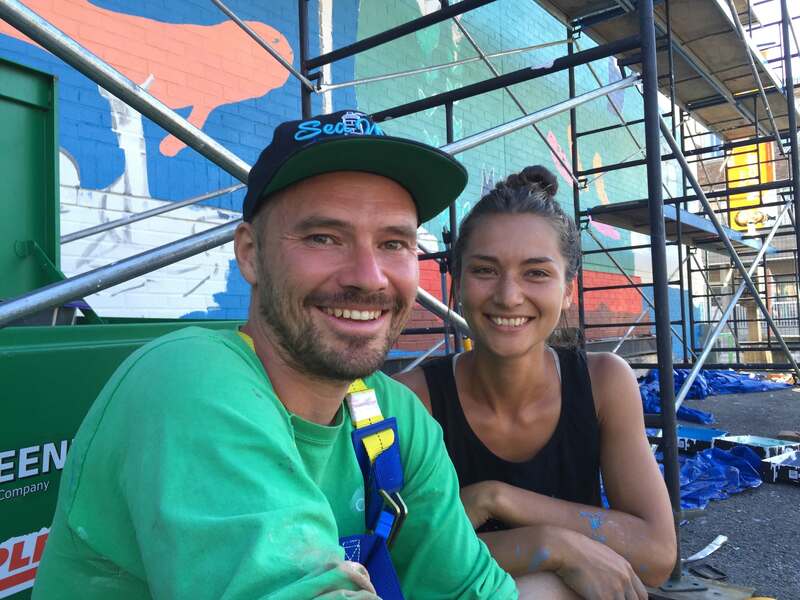 They have created well-loved murals in the hamlets of Igloolik, Cape Dorset, Iqaluit, and Hall Beach, as well as in the Northern Quebec towns of Kangiqsujuaq, Kuujjuaq and Inukjuak. They have facilitated youth projects at York University, the Wabano Centre for Aboriginal Health, and the National Gallery.